For personal reasons, Family Music for Toddlers is on hiatus until further notice. Thank you for sharing your beautiful children with me! I have enjoyed every moment of our time together. "Thank you for offering such an enriching life experience for my daughter and me. She is excited to attend class and I even recognize a sense of pride as she progresses through the program. 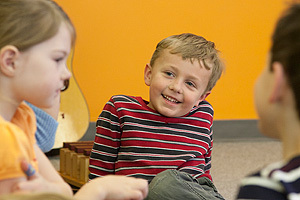 We refer to the Musikgarten curriculum quite often in our home." Are you interested in supporting your child's mental, physical and emotional development with a program designed to nurture your child's natural music aptitude? Then Musikgarten is for you! 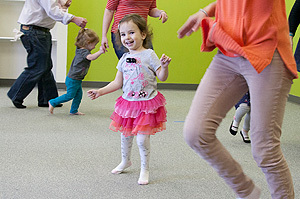 Come experience the Musikgarten difference. 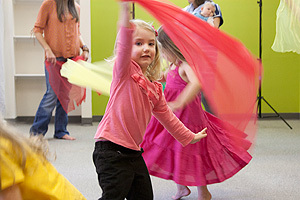 Come visit a class with your child. Click on FREE Preview Class on left for details.